Explanation: Have you ever seen a comet? 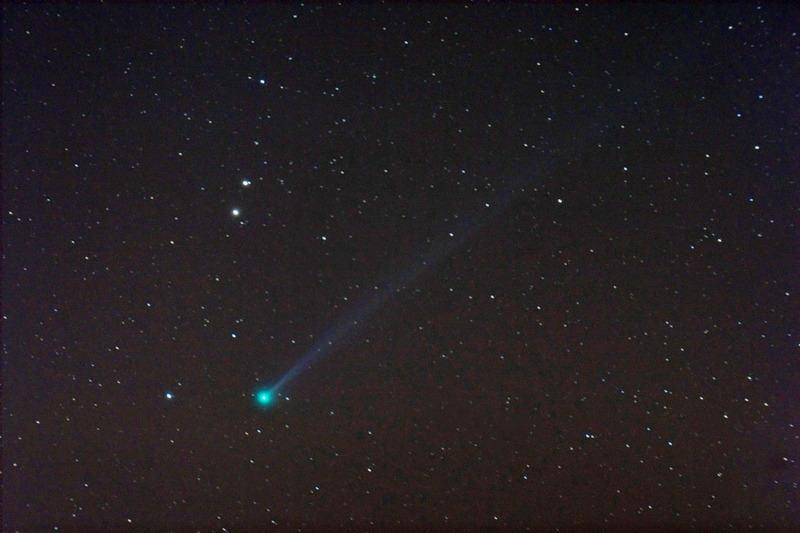 Comets bright enough to be visible to the unaided eye appear only every few years. Right now, however, a new comet has brightened unexpectedly and is visible as a faint streak to the unaided northern observer in the eastern morning sky just before sunrise. Binoculars may help. Comet Pojmanski, officially designated C/2006 A1 and discovered only in January, now sports a turquoise tail several times longer than the full moon. Comet Pojmanski's ion tail is due to gas particles expelled by the comet being pushed away from the Sun by the solar wind, the same wind that ionizes gas in the tail causing its blue tint. 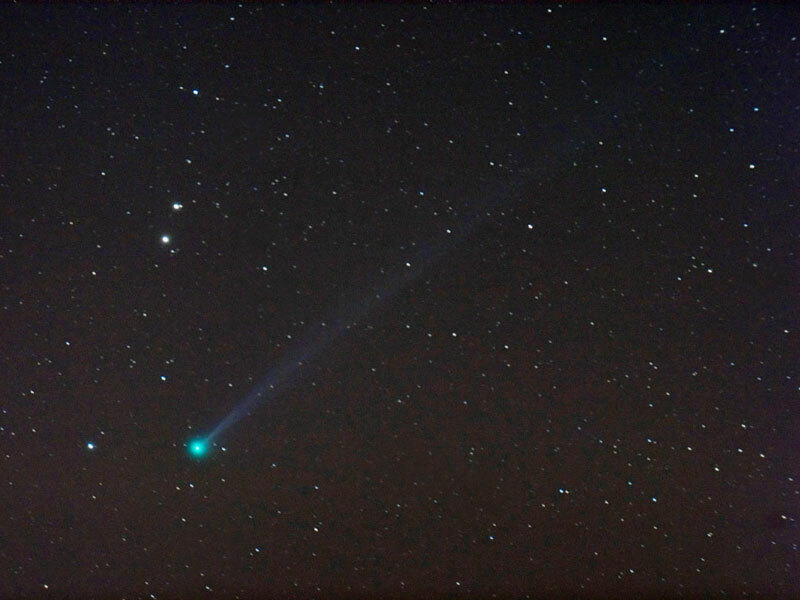 Pictured above as it appeared only last week, Comet Pojmanski has now begun to fade as its orbit around the Sun takes it further from the Earth.